For parents, having their teen start driving can be not the best new, as it entails a new level of responsability to the not-yet-adult child. 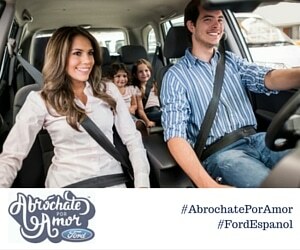 Their inexperience on the road make them at higher risk of accidents. The mobile use adds a whole new layer of distractions (ones that even adults are guilty of). Peer pressure of their friends also can create distractions, specially when alcohol is involved. High school is the time when teens are introduced to homecoming parties, proms, sweet sixteens, Quinces, skip days, and many other school activities where teens want to use their new driverse licences or be a passenger with their new-driver friends. Actually, studies show that less than a quarter of high school students use their seat belt when another person is driving. Because of all of these factors, it’s fundamental that parents not only educate, BUT mentor their kids about the consequences of poor judgement on the road, where they are also continuestly armed with safe driving tips. 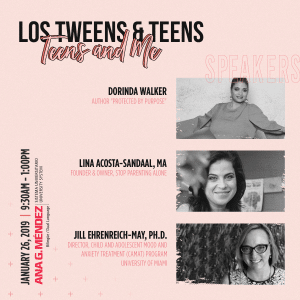 Below there’s a video from from Los Tweens & Teens founder, Cristy, while she shares a “driving talk,” with her twin teen daughters and one of their friends about this same topic. But, first here we include teen driving safety recommendations offered by the American Academy of Child and Adolescent Psychiatry (AACAP). Don’t give the keys to your teen until you are 100% sure that he/she has the sufficient experience on the raod (even if he/she has passed the driver’s test). Set rules, for example, limit the number of passengers and set specific driving hours. Don’t let the teen drive alone when there’s bad weather, when he/she is exhausted or didn’t sleep well or is very late at night. Recommend your teen that if they have alcochol, they should let a non-driving friend take the wheel. Make sure the car is working probably and your teen knows what to do in case there’s an emergency, like a out of gas or they see themselves involved in an accident. YOU are their primary role model. Who else than mom or dad to teach them how to drive responsably. This entry was posted in Mentors4Teens, Parenting Teens, Teen Driving, Videos and tagged Ford, high school, teen driving. Bookmark the permalink.